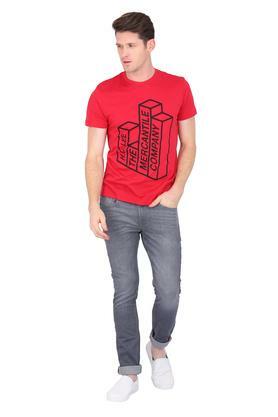 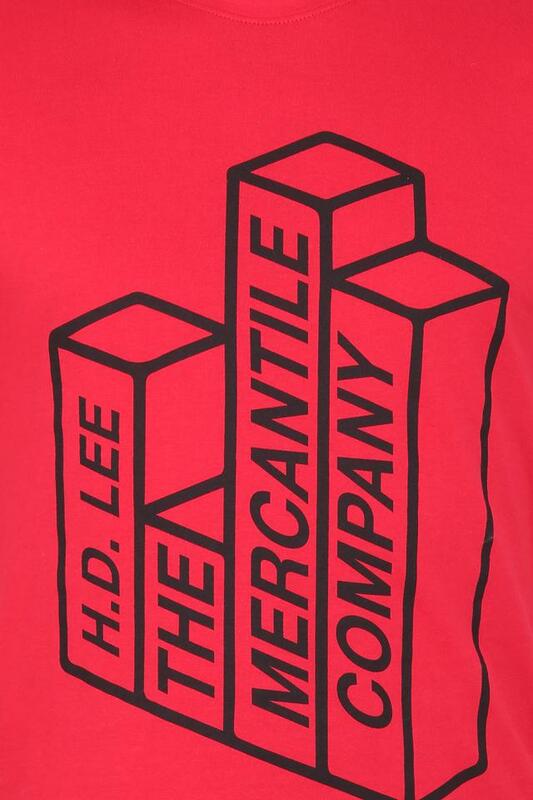 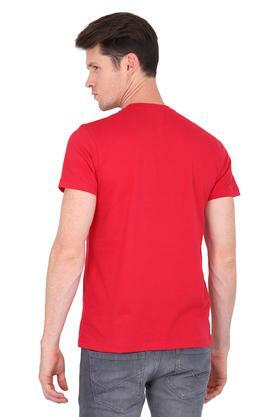 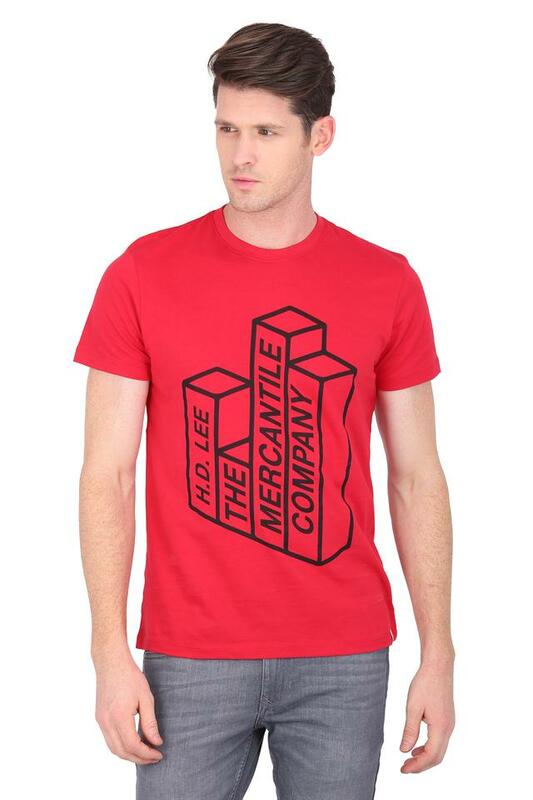 Keep your casual look simple yet stylish as you wear this t-shirt from Lee. Made of good quality fabric, it will lend you a smart look all day long. 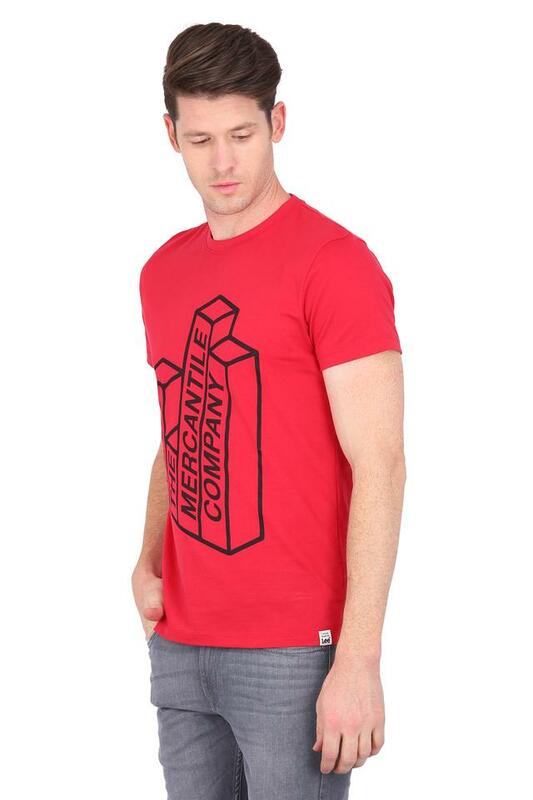 Crafted with unique design this short sleeves, graphic print t-shirt comes with a round neck which adds to its design.